The Bad Moon looms high above the realm of beasts, and with its haunting glow comes a deep-set insanity which threatens to corrupt all in its wake. 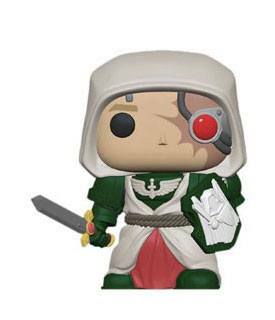 As rational judgment is extinguished from the land, and war rages on every flank, those already held in the clutches of madness look to advance their position and tighten their jaws upon the realm. Now, as the Bad Moon presents its jagged sneer once more, Vortemis the All-Seeing and The Eyes of the Nine unleash their deadly scheme. However, in the dankest and most foul of caverns, Zarbag and his murderous Gitz prepare to reveal that they are all the most devious of the realm's inhabitants. Silver Fox Collectibles are delighted to announce the incredible license with Games Workshop, to create a series of 1:4 Scale Collectible Statues & Busts. 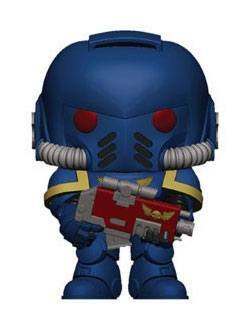 Their forthcoming series will include some awesome Space Marine Terminators, including Knights, Librarians & others. Also they will be bringing to this scale the terrifying myriad Genestealer bio morphs to create a unique and stunning range of statues that will look awesome on their own, but amazing when put together with their formidable enemy to make a terrifying but beautiful diorama. 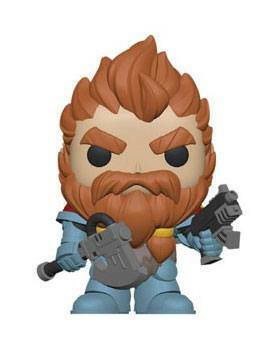 This first statue in this series is Barachiel the squad's Heavy Weapons Specialist. 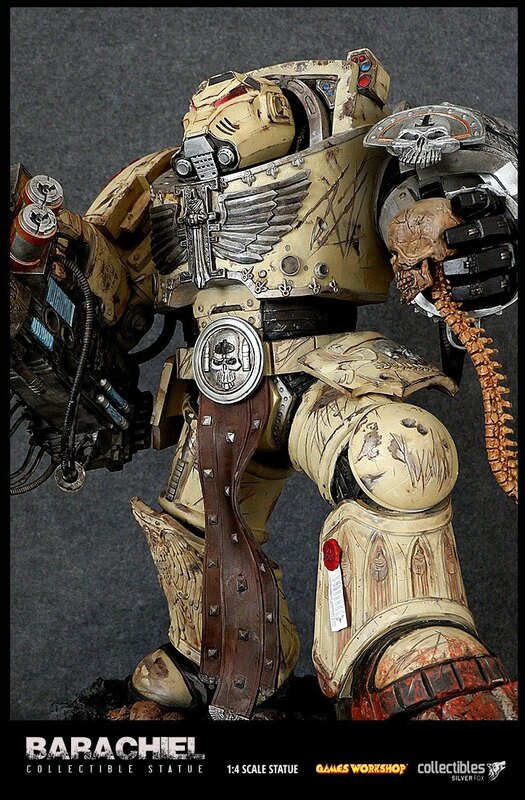 The statue will stand an awesome 61 cm (73 cm with base) tall and is mounted on a highly detailed base with rock and debris from the Warhammer 40,000 Universe. 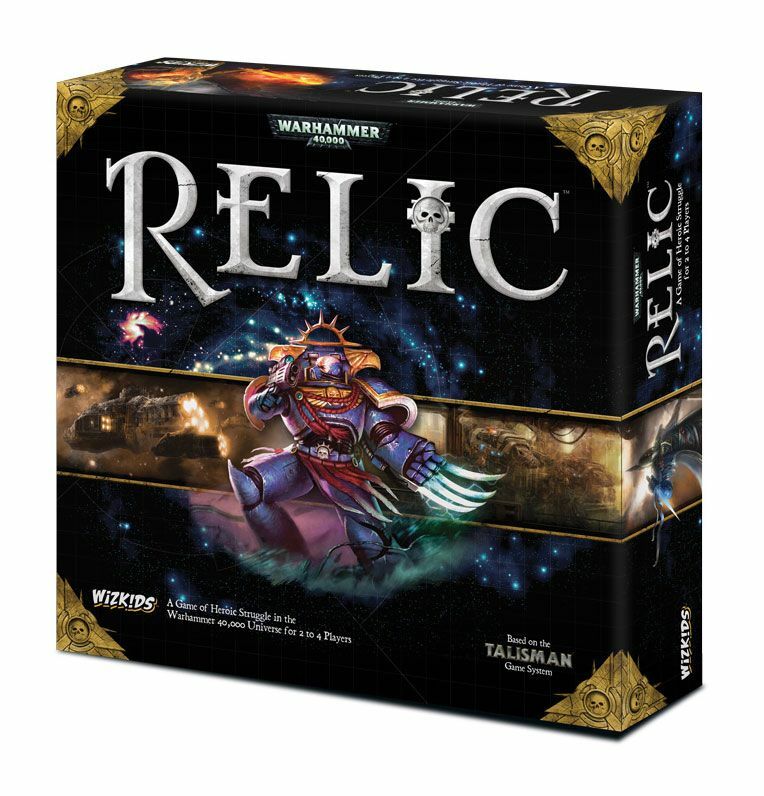 Based on the classic Talisman system, each turn, a player rolls a single six-sided die before moving their playing piece that number of spaces around the board. That player then draws a card or cards to see what they've encountered, pitting their heroic persona against foul enemies, dangerous locations, and fantastic strangers. 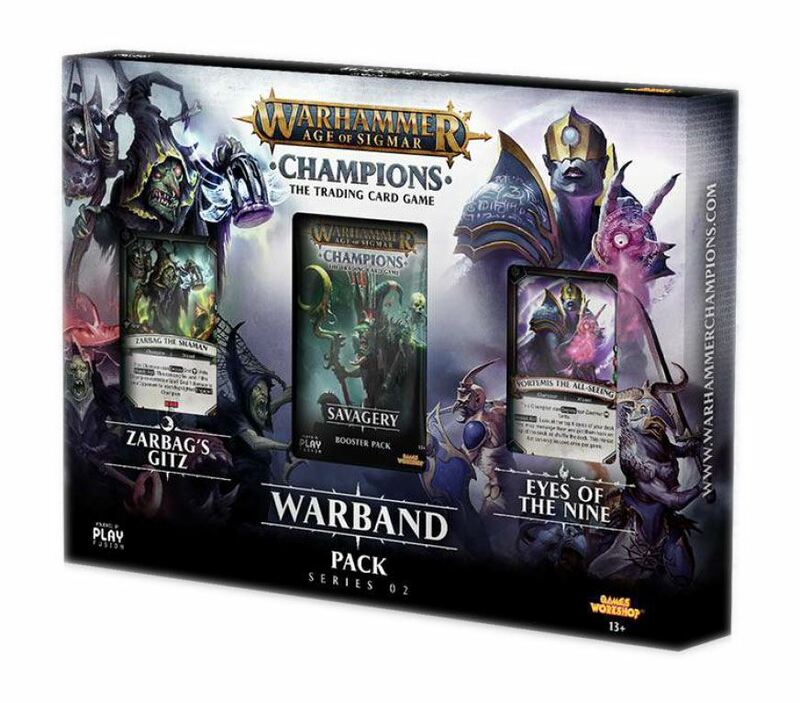 And all the while, these intrepid heroes rise in power, as they work their way toward the ultimate goal at the center of the board, which could be anything from confronting Kairos Fateweaver, the two-headed Oracle of Tzeentch, to fighting for control over the Lost Flagship of St. Antias. What's Different -- Standard vs. Premium Ed. 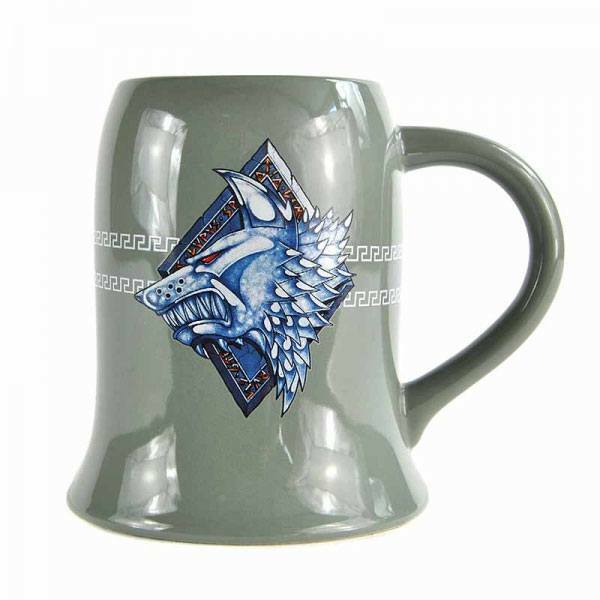 - The Premium edition introduces a highly detailed painted option for the character busts. 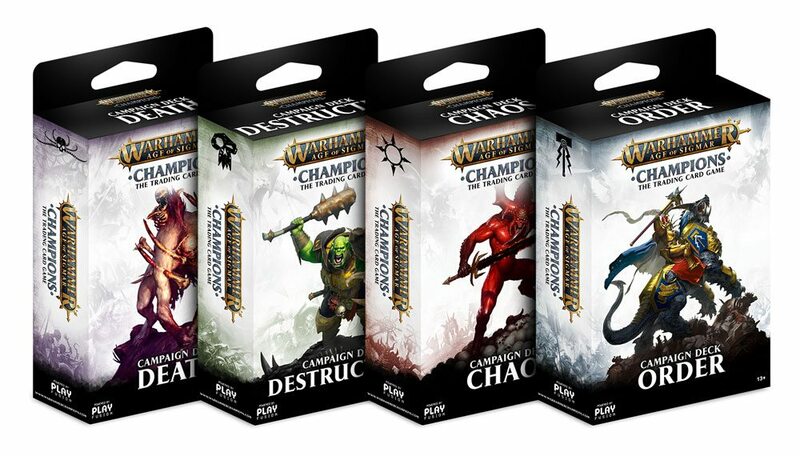 - The Standard edition has unpainted busts for players who might prefer to paint themselves. 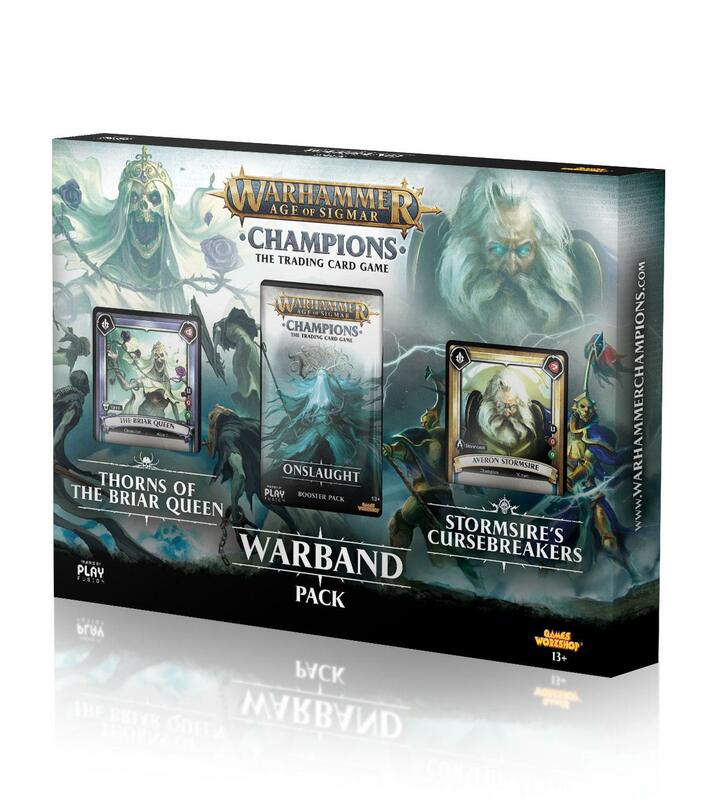 Players can pit the Ynnari against the Daemons of Chaos or mix them together. 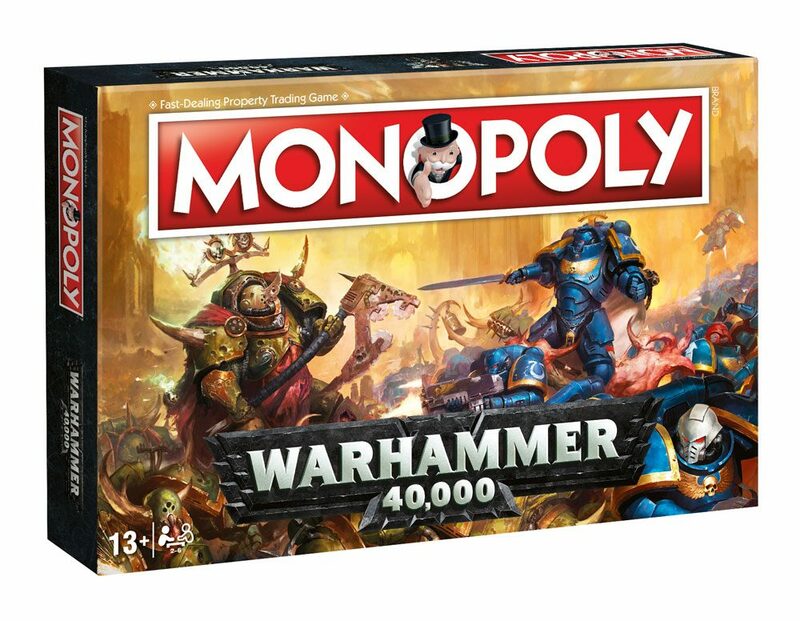 Whether players are interested in a game or two between Warhammer skirmishes or building the perfect team, this is a release that can't be missed! What's a Campaign Box? 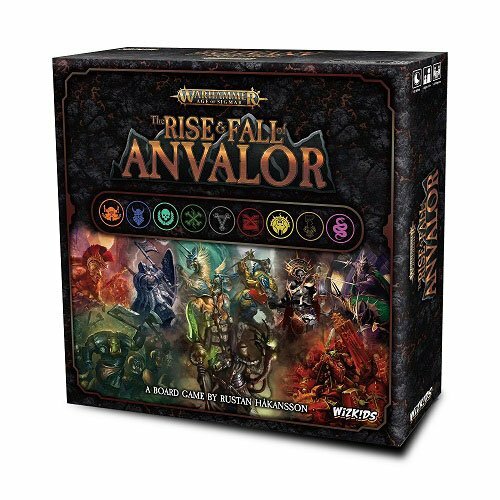 A Campaign Box is fixed content in a large box, and has everything 2 players need to start playing Dice Masters like Sidekick dice, Basic Action Dice, rules, and dice bags. 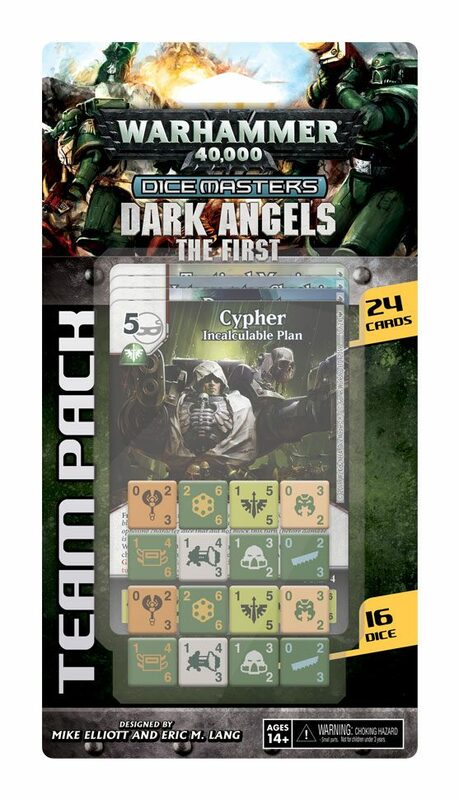 The Warhammer 40,000 Dice Masters: Blood Angels - Black Rage Team Pack is 100% compatible with Dice Masters. Quarriors! 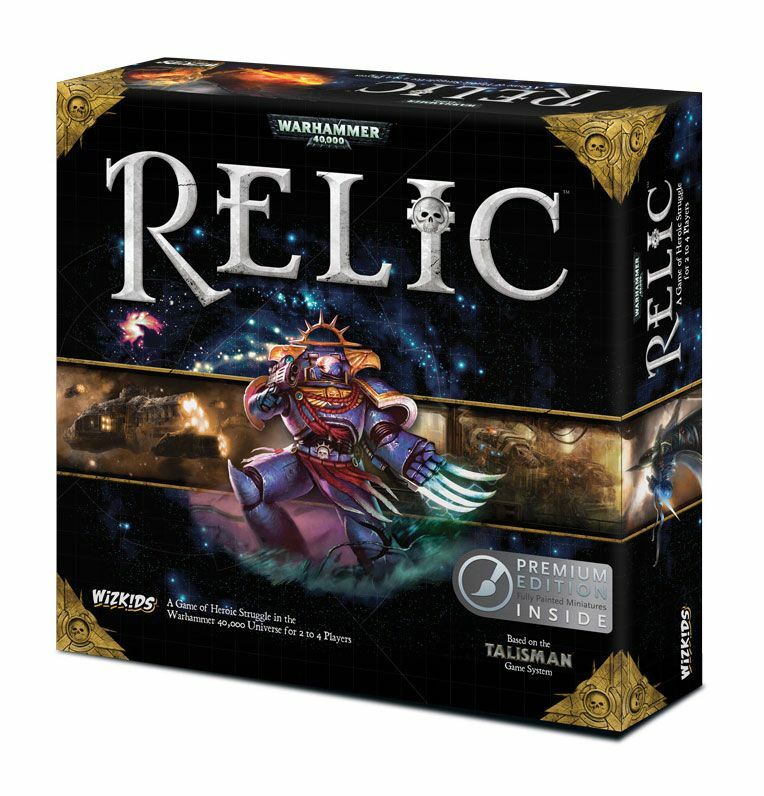 and Dice Masters are global hits from WizKids using the same proprietary Dice Building Game platform developed by Michael Elliott and Eric M. Lang. The Warhammer 40,000 Dice Masters: Blood Angels - Black Rage Team Pack will leave piles of bodies in the wake of the Black Rage! 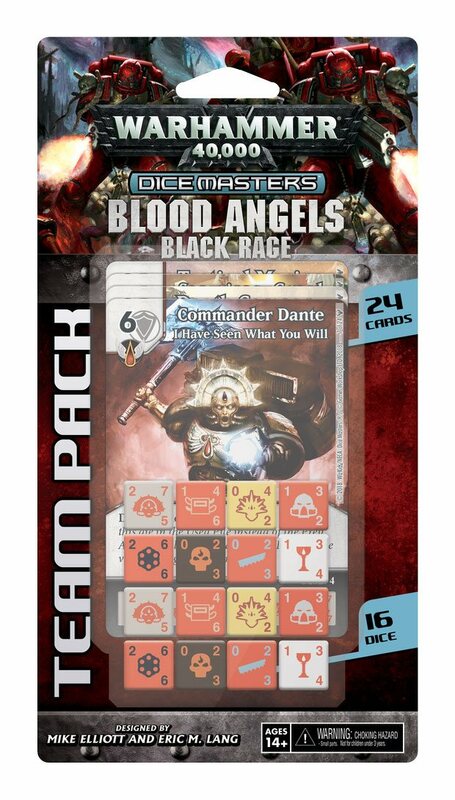 The Warhammer 40,000 Dice Masters: Blood Angels - Black Rage Team Pack features iconic Blood Angels like Commander Dante and can't-be-missed units like the Death Company and Sanguinary Priests. 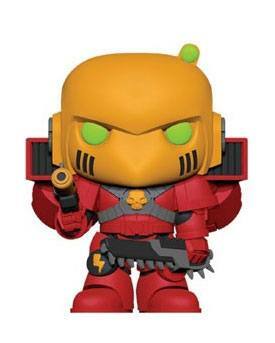 The Warhammer 40,000 Dice Masters: Blood Angels - Black Rage Team Pack will let players build their own team of Blood Angels! 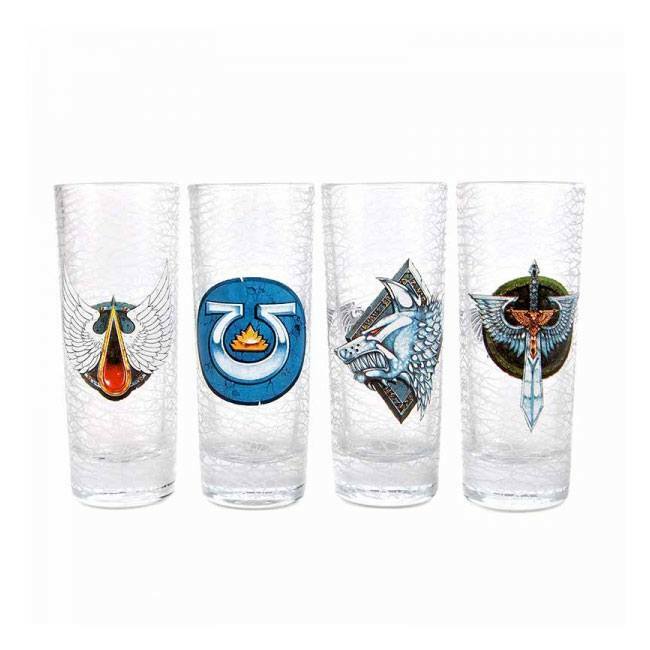 This team pack is perfect for the Dice Masters veteran or someone looking to jump into the game fresh! 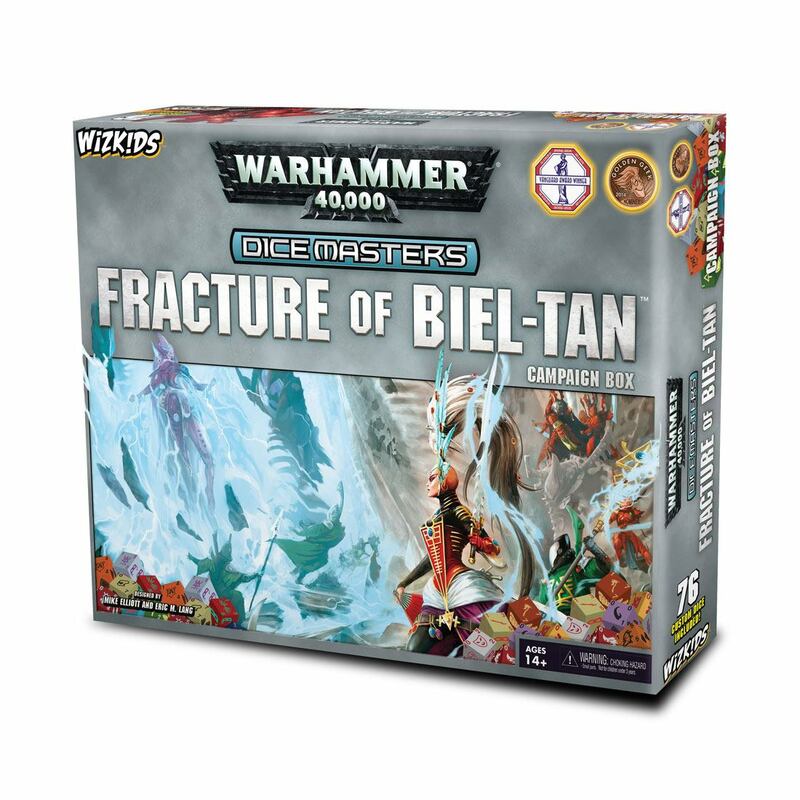 This team pack can be paired with the Warhammer 40,000 Dice Masters: Fracture of Biel-Tan Campaign Box to give a player everything they need to build a highly focused team for thematic play! With 3 different versions of each character, there are HUNDREDS of team building combinations! 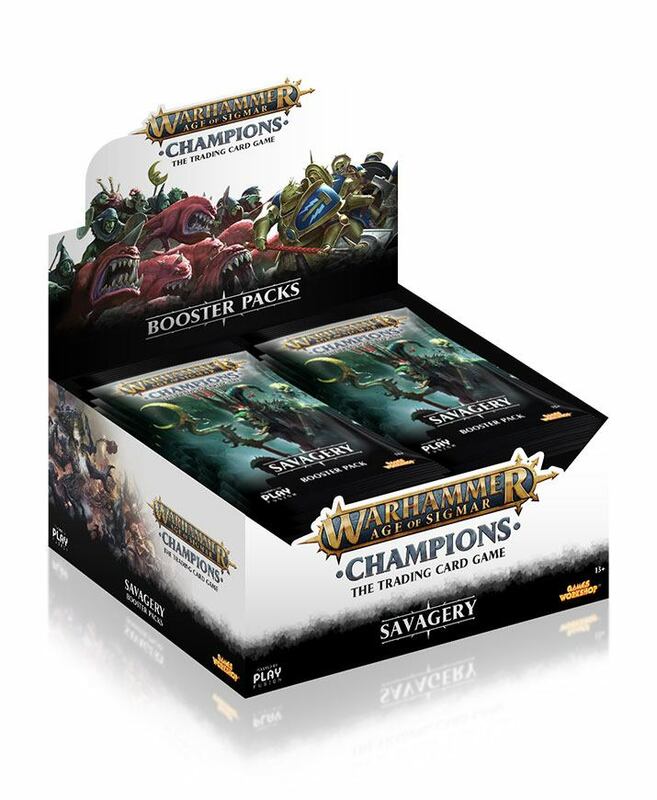 Strike fear in the hearts of your opponents with our fantastic line of products for the Warhammer Age of Sigmar: Champions trading card game! 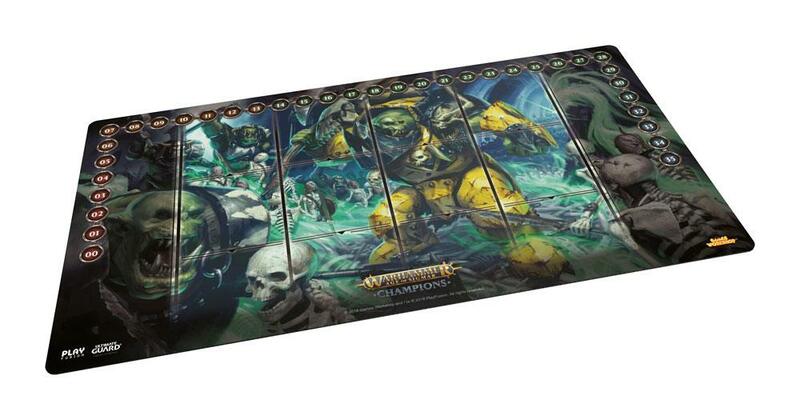 This perfectly sized, high quality play-mat with anti-slip surface is available in various exceptional designs. 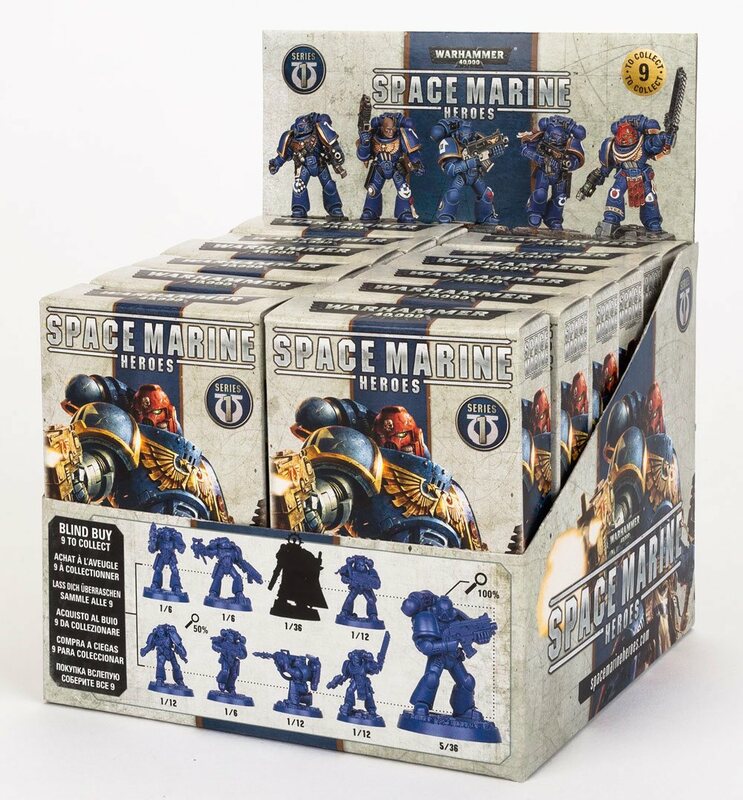 This display contains 12 plastic miniature models, 9 to collect.\n\nEach blind box contains 1 random marine on a sprue cast in blue plastic, an assembly guide and a collectors card.\n\nThis product is supplied unassembled and unpainted. Paints not included.